Trust the wait & embrace the uncertainty. Sometimes, I fall into the trap of thinking that its okay to feel alone. Or maybe being alone is best. But over & over again, God reminds me of His heart for community. These past few days, my heart has been super heavy based on this topic. Is it selfish to desire a loving community? Is it wrong to surround yourself with positive influences? Do you ever feel like you're in an obligated relationship with your current community? I love reading & learning more from inspirational leaders who are gifted encourager. A lot of resources I've subscribed to or have skimmed through, talk a whole lot about filtering through the people you surround yourself with. Making healthy decisions for your relationships. I find this quite difficult actually. I don't want to hurt or offend anyone's feelings in the process of doing so. So, I guess I just never really get around to it. I mean, there isn't really a handbook on how to surround yourself with positive & genuine loving people and how to let go of toxic friendships. Growing up, I always heard people say, "The people you surround yourself with, influences your behavior." I never thought much about it back then. But oh boy, do I now. I see it. It's true, the people you surround yourself will either make you or break you. 1 Corinthians 15:5 says, "Don't be misled. Bad company corrupts good character." I believe that this is true whether you have a religious belief or not. God is a relational being. His heart is to connect with us. If our Maker created us in His image. We too, are designed & wired to need community & relationships. Honestly, when you face what seems like the darkest times in your life, that is when you feel the desire of a true community. A need for just a handful of people who really just either 1) understand and know exactly how you feel, 2 )are willing to listen to & embrace you, and 3) continue loving you no matter what. Why is it that instead of feeling safe within our very own communities, we at times feel like we have to be on guard? Maybe we haven't found the right friends yet. If you have, then AWESOME! But if you, like most of us, are still in the waiting. Then know that I'm praying for you. We should know that even God wants us to have godly & encouraging friends. People who will speak words of life & truth into you. They're willing to invest in your life & be genuinely active in your friendship. People who will sharpen you & build you up to become the best version of yourself. I truly believe that God makes Himself present in genuine friendships. Through the constant growth in trust, vulnerability, & loving correction. God uses those who are intentional & who truly have compassion for us to help build us up. Good friends are nice gifts throughout the seasons of our lives. But Godly friends are blessings for eternity. No one can stand before you & force you into an unhealthy friendship. Fortunately, God gave us free will. He lets us make the choice. We can either choose to surround ourselves with people who are going to love us into who we were made to be. Or settle for the fake obligations & fears of offending those around us. I can understand why the need to filter out relationships. Although I don't quite have a community yet, I'm slowly finding one. I'm entrusting my future relationships to God. I believe He knows whats best for me & He has exactly the greatest group of women that I need in my life. I'm just waiting patiently. Luckily, I'm embracing the few genuine, Jesus-loving friends that I have on hand right now. In the moments where life gets tough, God shows me glimpses of His revelation for a true community. The beauty in the brokenness. The grace in the struggles. The hope when it seems like there's none. I pray that where ever you are in the season of your life, that you will at least have one genuine friend to love you into who you were made to be. To live life intentionally embracing one another. What does community mean to you? Do you have seasonal friends or eternal friends? Or are you still praying for them? Every human being has or if not, WILL experience grief at some point in their life. It’s a part of life. We live and then one day, we will die. Grief will effect all of our loved ones when that time comes. Grief is evidence that love exists. We cannot grieve what we don’t love. Grief has no timeline. For every person deals with grief differently. Some find comfort much earlier on than others. But grief is something we cannot expect people to transition out of quickly. I remember when I first walked out of the infertility clinic and was just diagnosed with PCOS (Poly Cycstic Ovaries Syndrome.) I felt better because I was finally diagnosed and someone was able to give me clarity at last. I wasn’t just mysteriously broken anymore. I went home heavy-hearted still, and looked up “PCOS” and a quote popped up on my screen. I had to grieve the idea that I would possibly never carry a child in my womb. For one that does not understand the pain of this reality, it hurts. Is it real? The emotions you feel towards an idea that seems far out of reach? I believe it is. Grief effects who we are. It impacts who we become but it is NOT our identity. Grief, like any other emotions is temporary. Instead, most emotions pass on quickly while grief is a slow wave. Time can only tell for those who are grieving. Please know that grief creates a hole in our soul. It’s a response to lost love. Allow yourself to feel, weep, and acknowledge the weight of the pain that comes with grieving. Honor the season of grief that you’re in. You will not wander in it forever, but you will not reconcile with it without riding it through. Loved ones will pass on through and attempt to console you and even quietly expect you to get over it quickly. I don’t think we were ever supposed to numb out or shake off the season of grief. God created us with the ability and gift of feeling. He understands us. We cannot dismiss feelings such as grief, anger, sadness, depression, or anxiety. For we cannot choose to feel only the good and wish the bad feelings away right? No matter what the amount of grief we experience may weigh, the hope we have in Jesus surmounts that. If anything, I hope you know just how beloved you are. If you find yourself in a season of grief. Allow yourself to sit on the shore for a moment. Watch the wave of grief rise up and undoubtedly it will shrink back again. Take a deep breath, for its only temporary. Worship, pray, journal, and in time, you’ll feel yourself again. You’re not alone in this. Jesus sits there on the shore next to you and He’s got you. You are not a wreck in the sand, you are h e l d by the Maker of the sea and stars. He knows your pain and sorrow. Take your weakness to the cross where He becomes your strength. In a nutshell, I am the worlds most indecisive person ever. Senior year of high school, I remember one occurring question. Honestly, I didn't know and I most certainly did not want to just apply for a community college with no passion & then drop out at some point where I've lost my will power to drag myself into the unknown. I've seen it happen plenty of times. So I thought I'd take a year to just work & figure out who or what I wanted to be. A year came by so quickly. Then 4 years, then 5, and now I've been out of school for over 10 years. How did that happen?! Its strange. For a season there, I was inspired to go into beauty school & become a cosmetologist. I enjoyed the thought of pampering others. After that I fell in love with children. I committed to working in a day care center, as a nanny, family assistant, and a local non profit shelter for women & children over the course of 7 years. I absolutely loved it! Don't get me wrong. Through my infertility God had gave me fresh eyes to see that He was using me to love & care for children in this season. I even considered pursuing education in Early Childhood Development. But I still felt unsure. For some reason, just in the depth of my soul, I could just feel something else budding. Through out these past 12 years, a small but constant passion was rising & I just wasn't sure where it would lead me. Was it just a hobby? An obligation? Or a dream? A vision? I found myself creating, planning, & decorating events, weddings, and parties. Opportunities that brought out the R E A L me. Styling hair and makeup for friends, curating arrangements for photography, and just about anything that inspired me to inject my creativity into it. It wasn't just the fact that I loved being able to share my gift of creativity but it was also being able to bless others with it. To pour my heart & soul into special projects & to see people just receive it with so much joy & to essentially be blessed, that's it. And after every event and opportunity, I had a sense of purpose & passion. I found joy & contentment even in the midst of the chaos that comes with planning anything that had to do with community, good conversations, & service. I love infusing beauty and intricacy into everything that God allows to fall in my path, taking great care of it, knowing that it’ll only last for a moment. I can honestly say that I don't regret the years in between. The short but long years of the nitty-gritty. I believe that in order for us to come to a place where we can embrace ourselves and whom God has created us to be, we have to go through trials & testings. I know my prayers haven't been completely answered yet. But why do I have to be unfaithful on my part, even if I'm still in a season of waiting? I also believe that our dreams and desires can align with God's purpose for us. I'm so glad that I didn't give in to peer pressure & just pursued a degree of some sort right after high school. Where I stand, I see a BIG God. And I believe that my dreams are not impossible. They may seem far fetched. But my God is Greater. I may not have a business in event/wedding planning or own my own craft studio. I may not be a certified teacher or a professional make-up artist. But I know in due time, God will open doors that no man can shut. He will continue bringing opportunities in every season that I remain dreaming & trusting. I believe it. My God promises me that He can make my dreams a reality. I trust in Him and I believe that if I'm faithful on my part, He will be faithful on His. I'm willing to just give my all & let Him do the rest. I believe that this year, He is moving me in a much more bold & courageous direction. That means doing something I don't feel too comfortable about. Jotting down an action plan. Setting doable goals for myself & letting Him take care of the undo-able. Saying yes to the best opportunities. Connecting & surrounding myself in a community that will encourage me to spread my wings & grow. But most importantly, to be moving in expectation. We can move closer to Gods will that way. I received encouragement from a new friend I met & she said something that really convicted me to dive-in all or nothing. So here goes nothing. I'd rather live trying than not at all. Are you still dreaming? What are your dreams? Will you dare to dream BIG with me? Will you work towards those dreams & make them a reality? If you ask me, love should be celebrated everyday. Do something everyday to remind the people you’ve surrounded yourself with, that you love them. This weekend my hubby and I are heading out to celebrate our 14th wedding anniversary. We got a cute little tiny-home Airbnb to enjoy for the weekend. If I’m being honest, Valentines isn’t really celebrated in our marriage and that’s okay. I think our annual wedding day celebration is much more rewarding! Each year it causes us to reflect on how far we’ve come in our marriage and how much we’ve grown yet remain united. What I’ve learned this past year is that I struggle loving myself more than anything. Through multiple counseling sessions and heart-to-heart conversations, it kept surfacing. The guilt and shame that would rise up when I thought of how I could love myself better. If anything, this ‘month of love’ inspired me to do more things that show myself love. It meant not waiting around for the perfect time to draw myself a bubble bath, a much deserved one. It meant filling up my day with more things that brought back life into my existence. It meant spending un-rushed time in the Word. Allowing my body to rest by sleeping at a decent time and showing gratitude for all that it does for me by feeding it food that nourishes and keeps me feeling vibrant and fueled. For so long, I’ve lived out of survival mode. Giving and giving and giving to everyone and leaving myself the leftovers of my soul. For FOMO (fear of missing out) on something or to please everyone around me. I became addicted to earning love and favor by doing more and giving more and more of myself, leaving me feeling depleted and empty. I was living and serving people with wrong intentions. I thought my value and worth was amounted in what I could do for others but overtime, burnout birthed resentment. I started discovering parts of myself that were ugly and negative. I couldn’t even articulate who I was seeing in the mirror. What was my life reflecting? I resolved to going back to doing the things that support me being the best version of myself. They say that the way we love others reflects on how we love ourselves. For so long, I believe I was loving others more than I loved myself. I’m learning that it is NOT selfish to take care of your own wellbeing first. This month, I choose to do the things that heal and nourish my soul. I’m choosing to live out of a place of love. Knowing & believing that I deserve love without doing anything first. I no longer need to earn love. Love was mine from the beginning. 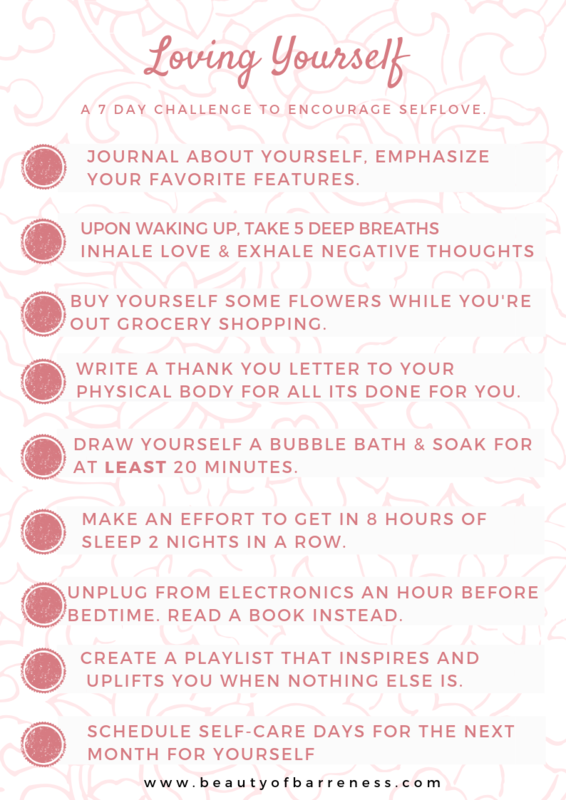 I created a 7 day challenge to encourage self love. If you resonate with any of this, then I want you to try checking off some of these things. It might be easier to accomplish these simple acts of self-love for some more than others. You can commit to checking off this list in the next 7 days or spread it through out the month. You decide! Happy Valentines Day! It’s funny, I went through a season of not caring much about celebrating but as I draw closer to a close on another decade in my life, I realize there is just so much to be grateful for. I’ve never done anything like this before, but I’d like to place this list here to remind myself of how thankful I am for being me. Thank you for choosing to seek a more simpler life. Thank you for never losing Hope. Thank you for going after the crazy things that you’ve been pushing off. Thank you for feeding your body with plants that nourish and strengthen you. Thank you for loving children more than I ever thought you could. Thank you for always remaining a student at heart. I love how passionate you are about learning new things. Thank you for finding counsel in this season of your life. You’re seeking complete healing and it definitely starts with dealing with the roots. Thank you for making time to move your body whether indoors or out in nature. Thank you for learning to embrace the uncomfortable. Thank you for pushing yourself out to meet new people and making special connections. Thank you for loving your own story enough to encourage others to share their stories. Thank you for loving yourself well first before loving others. You can only love others well if you’re kind to yourself first. Thank you for being such a strong person. You’ve gone through so much yet you wake up everyday with joy and anticipation. Thank you for being such a light. Your joy and optimism is priceless. Thank you for being such a self-reflective person. I love that you’re always striving to be the best version of yourself. Thank you for loving animals and making decisions to partner up with God in caring for Creation. Thank you for putting your selfishness aside and becoming such a conscious consumer. Thank you for putting effort into being a pebble in the ocean creating a ripple with ending modern day slavery. Thank you for having a heart of advocacy. Being a voice for the voiceless. Thank you for fighting for your marriage and making it TOP priority even when its difficult. Thank you for challenging yourself and learning to go against the grain and embracing resistance. Thank you for practicing compassion with yourself and others. Thank you for being such an inspiring and creative person. You’re perspective of life is so unique and beautiful. Thank you for having such a servant heart. You can never say no when it comes to helping people. It’s one of your strengths and weaknesses. Thank you for not waiting for anyones approval to pursue your dreams. Thank you for surrounding yourself with people who build you up, challenge you, and empower you. Thank you for living in the present moment. Thank you for practicing to be an intentional and mindful person. Thank you for finding the courage to being more vulnerable and sharing through this blog. What is Beauty of Barrenness? Today I've decided to share with you the heart behind my blog. ﻿About 6 years ago, God had placed this passion on my heart. To share my story to others. My story of infertility & barrenness. I attempted to publish a few posts, but still felt so much bitterness towards my situation. Undeniably, I got consumed with trying to take it into my own hands trying to figure out how I was going to conceive. Nothing else mattered to me. Out of my mouth came words that just masked how I really felt internally. I'd lay in bed at night questioning God. Why would you let this happen to me? In that season of my life, I had no one to turn to. Literally no one. Even Roger didn't even know how to comfort me. We were both silent in this what seemed like a never ending storm. We were silently trying to stay strong for each other. We weren't seeking God's will or comfort. We were so lost. A part of me even questioned if he would no longer love me because of my barrenness. I was a complete mess trying to hold my broken self together. I searched for a place to belong, but found nothing. I desperately needed to be surrounded by other women who were going through the same storms. Someone, anyone, who could see right through me & embrace me during the darkest times in my life. I even had a home church yet I didn't feel like I belonged there. I didn't feel accepted as a barren woman. Every Sunday I would step into the lobby avoiding eye contact & I'd feel the weight of the eyes that were staring at me. People with good intentions, have approached me & asked me questions that just felt like they were pouring salt over my ever constant fresh wounds of emptiness. I'd always just brush it aside. I even joked about why we didn't have any kids yet. But inside, I was desperately searching for acceptance. Can I just be accepted instead of being questioned why I don't have any kids? Can I just be accepted and not be judged for being married for so long but not having any children to prove for my marriage? Can I just be accepted & not feel like I'm walking around with a curse? In the most desperate time of my life, I had only one soul that lifted me up as best as she could. She spoke life & encouragement back into my broken heart. She reminded me of the hope I have in Jesus Christ. She dried my tears when all I needed to do was cry my heart out. She embraced me & accepted me through my brokenness even without an explanation of what I was facing. But most importantly she repeatedly pointed me back to the Cross. It was then, that I knew I had to find my identity in Jesus. I could've become completely bitter & absorbed by trying to find control. Or I could surrender it to God & let Him speak His love over me through the storm. I did just that. It took me a few years to learn to trust God with my complete situation. It was in the midst of this infertility storm that I experienced His comfort in a way that I've never before. He filled my emptiness with His abounding love & reminded me daily that He was surely working everything for my good & for His glory. 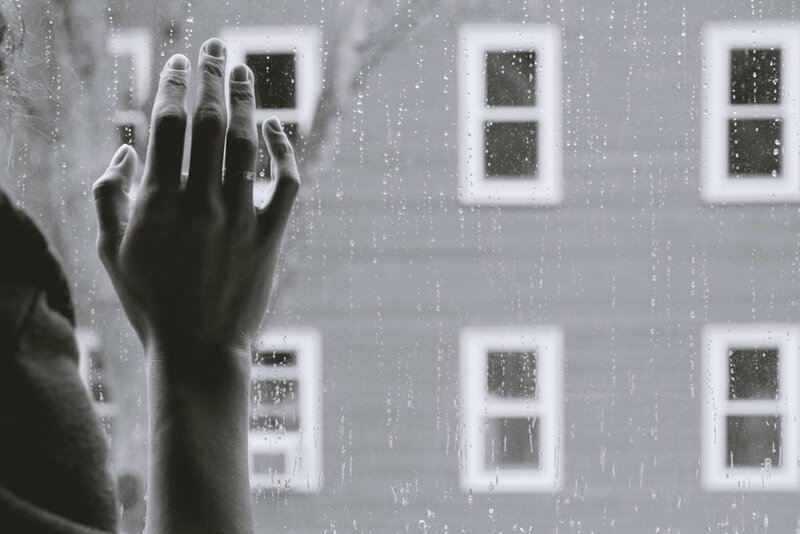 Even though I seemed so lost in that storm, He gave me vision to see that there were so many women out there who were also facing a similar storm as I was but without the Hope- giver: Jesus. I knew that as broken and confused as I was, the little bit-sized faith that I had in God cradled me through the storm. God began to give me a new heart & passion for women who were facing the similar battles. I began to see it clearly. Year after year, God started placing names of women on my heart. Women who I was aware that were definitely facing a hard season of waiting. Waiting on their promises. Waiting on God. God has taught me so much through this season of waiting. He's shown me that a life in a season of waiting does not have to be dark. It can be filled with light. When I chose to let Him change my perspective, I was renewed in my spirit. God gave me a peace & joy that surpassed all my understanding. He began to slowly reveal the Beauty of Barrenness to me. Daily, I find beauty in the season of waiting on Him. And everyday, He show's up & reminds me that all I need to do is to have complete reliance on Him & He will carry me through. I don't quite know what that means or how it looks like yet. No, God did not give me a blueprint to my future. But I'm willing to trust in His plans for my life and step forward in faith. Beauty of Barrenness was created to embrace & encourage those who are in a season of waiting. My desire is to encourage you to hold on to Hope. To allow Jesus to minister into the very areas of your heart that resembles closely to mine. I believe that we all seek for a place to be heard, to be known, & to be accepted. You will here. If any of the above resonates with you then I encourage you to follow or subscribe. If not, I ask that you'd help pray over this vision that God has given to me. Pray that all who need administering to will find exactly what they need. Pray that God will provide the very people that needs to read or hear these words. It’s been about 8 years now since I’ve been diagnosed with PCOS (Polycystic Ovarian Syndrome.) Now, it didn’t just appear one day out of no where. I most likely have always had it but the symptoms just started surfacing once I got married. It took me years to figure out what this meant for me. Even till this day, I still have a hard time explaining it. Why? Because I’ve lived with it for so long that it just became a part of me. I never really had a chance to allow myself to examine and accept the affects of this disorder. It’s hard to talk about our flaws isn’t it? Who goes around talking about what makes them broken and imperfect? Infertility. PCOS is the most common endocrine disorder women can have and its also the one of the most common cause of female infertility. 1 in 10 women will most likely have PCOS. Beyond the Ovaries. Even though its named Polycystic Ovarian Syndrome, the ovaries aren’t the only thing affected by this condition. It is a condition that affects the health across the board and it affects each person differently. The Symptoms are Endless. Irregular menstrual cycles, male pattern baldness, weight gain, infertility, depression, anxiety, sleep apnea, acne, struggle with weight loss (insulin resistance) , obesity, a higher potential to have Type 2 diabetes, high blood sugar, and more. You don’t have to have all the symptoms to have PCOS. It is a chronic and invisible illness. There is No Cure. As of current, it’s quite unclear what causes it and treatment for this disorder can only keep symptoms in check. Studies are still on the rise. A theory is that genetics play a role; however, this is not proven. The effects are not just physical but they take a huge toll on a person’s mental health. Lifestyle Transformation. Studies have shown that the best way to improve symptoms is a change in lifestyle such as diet and exercise. Which is quite typical for any diagnosis right? What you consume, you become. Your body reflects what you put in/on it. Lack of Self-esteem. It’s not a surprise that women struggle with self-esteem already. But women with PCOS are affected even more so this way. Because of anxiety and depression they feel this intensely. It’s an emotional effect. Quite honestly prior to getting diagnosed, I thought that all these things were normal about me. My doctors couldn’t see it. It took me 4-5 years just to get diagnosed and it was finally by an infertility specialist. Believe me when I say this, it took me a LONG time to be able to share my diagnosis with people. Especially those closest to me. I didn’t want the judgement or the pity. I didn’t know how I’d handle it. I don’t quite recall when, but some time after, I was able to start talking more about it. I know that this disorder does not define who I am. But in a season of healing and trust, I’m learning to embrace my body and to love it as my Creator intended me to. This has taken me a long time to get to. It is a practice. To be intentional with what I’m consuming. To be conscious of what I surround myself with. To treat this body as a beautiful temple for the Holy Spirit. This body does not belong to me and when the time comes, I want to look to the Lord and say that I did my best to care for it. Grant it, there are days where PCOS overtakes me and I’m literally fighting with every ounce in me to not allow it to throw me in the backseat. You see PCOS is an invisible illness. It’s affects are daily. Some days, I feel like a normal human being. Most days, I’m pulling myself out of bed and praying that I have the energy to survive another day. This is my reality. It’s a mental and spiritual battle just to live with PCOS. If you or someone you know has PCOS or a chronic illness, please don’t hesitate to share your story. I see you and love you. How can one be calm & have peace of mind when the whole world is telling you that you should be ashamed of yourself? For years, I've always assumed that I must be some FAILURE because I wasn't able to conceive. I mean, 12 years now, going on 13 and we're right where we started, How do we find peace in barrenness? What is the purpose of all of this? Questions I found that I was constantly pondering. A few years ago I committed to a healing fast. To commit 40 days to focus on praying around and even through the circumstances that I've bottled up. PCOS, Infertility, Motherhood, Family, etc. There are so many things my heart desires. But why do my circumstances reveal something else? It was a true testing of my own heart. He was teaching me to see the beauty in the barrenness. Is my husband and I not already a family? How can I bring a child into this family, if we're not even practicing to be a family already? Do I desire children more than I desire my relationship with God? He says, "An inheritance quickly gained is not blessed. If you do not sacrifice and pay a price for something, you wont ever understand its value." WOW. Right? At that time, I had allowed 10 years to fly. But what had I been doing? Was I so consumed of this syndrome (PCOS), that I forgot to put my complete trust in my Creator? The Author and Finisher of life? Where did my faith go? I was only thinking of what I could do within my own will power to conceive. I was obsessively researching how to cure my PCOS and totally lost sight of my Healer who is the Good Doctor. I was wrestling with God about what I thought was best for me and questioning His plans. Who was I kidding? I'm so encouraged now, knowing that all women who experienced barrenness had the favor of God. Confusing right? I know, it did not make sense at all at first. If God had favor on Sarah or Hannah or Elizabeth, why would He not bless them with a child? But their desperate & sorrowful stories were transformed into miraculous testaments. Look how each woman was delivered through their darkest days. And each of their children went on to be a piece of Christ the Savior's lineage. Their broken wombs birthed into intentional pieces of God's bigger plan. God is using our barrenness to do something greater in us. In our lives. The same promises He made to these women, are true for us as well. If God is the same yesterday, today, and tomorrow. Then I believe so are His promises. More often, we listen to the world. Which is also the enemy. We listen to the shame, the ridicule, the judgement. Yet, we forget to hold on to the truths. Don't forget to praise Him in the storm. Prayer and praise has the power to break through barrenness. Out of my fasting I learned that God was asking me to shift the way I was praying. It was a push for me to change my posture from doubts and desperation to faith & gratitude. To declare His promises over my life daily but to also embrace where my 2 feet were planted. Whether if I find myself in the dry and cracked barren places or the abundantly flourishing islands, God will meet me there. This is hope. Not just for me but for you as well. No matter where you are in your journey of waiting, He WILL meet you there. Have you tried praying and fasting? How has God met you in your story? Good Morning, you may have found yourself in a season of waiting. Whether it be for a new job, new opportunity, a long awaited child, or the return of a loved one. Maybe not by choice nor by plan. But by God's plan. I know how hard that may be. To completely have full trust in Him. It's easier said than done. It seems impossible right? Trust me, there are days where infertility leaves me feeling so lost & confused. Thankfully the Holy Spirit works in us & around us daily. Boy oh boy, do I need His daily reminders. If you find yourself in a season of complete stillness & you're having to learn to wait on the Lord, I hope some of these truths encourage you today. But most times, we're so desperate for quick answers from the Lord, that our prayers become desperate demands. Often times, it even seems as if our prayers aren't being heard nor answered and this results in feeling like our faith is fading away. We have to be careful not to force God's name under our "genius" thoughts & ideas. A lot of times, we somehow think of things and assume that maybe God himself has never thought of yet. This is where our human nature kicks in. We roll on out with every possibility of a solution for our situations. But have we ever thought that maybe, just maybe, this might just be a Divine Delay? That maybe there is a purpose in our waiting? It doesn't take faith to help God, it takes faith to believe in His promises. We so often think that we somehow have a say in what God is doing in our lives. We can believe in Him as much as we claim we do, but faith comes in the seasons of trials & tribulations. When you've lost all control or hope for what's to come. I mean, faith would not exist if everything went perfectly the way we wanted it to be. It's when we're at our wits end that we see God most glorified. In the midst of confusion & pain, what does it look like to believe that there is hope? We have hope. His name is Jesus. Our faith grows when we remember to cling on to His promises. Remember, its not about our performance that matters, its His promise. And if you don't know what His promises are for you in this season, then I encourage you to pray & ask God to reveal a Bible sibling that you can resonate with to help you better understand what God can also do for you. Remember, He is the same Yesterday, Today, & Forever! This season of barrenness in any area of your life could just very well be a divine plan for you to find some time of solitude with Him. When your plans don't work out, God wants to use your disappointment as an opportunity to transform you according to His divine plan. He wants us to experience complete dependency on Him, away from all the noise & chaos of the world. Therefore at times, we feel like we're in a barren land. All we see is complete wilderness and at times we see it as if it were a curse of some sort. But the thought that maybe God has something beautiful planned out never crosses our mind. It is a true testing of the heart when we're in a barren land. We can never be fully prepared for where God wants to take us until we are at peace with where God has us currently. Embrace where you're at. Rest in the assurance of knowing that your God has more power than anything else you may face in the wilderness. What is something you are waiting for? What are you learning in this season of waiting? I'd love to know & pray for you. Summer time is here and though I should be excited about the sunshine, I'm feeling more exhausted than anything else. All month long, I'd been awaiting for this month to end, and it took forever to finally get here! I feel exhausted, lazy, uninspired, tired, & completely unmotivated. All I want to do is lock myself up in a room and hibernate forever or at least until I return to my normal self again. (Whatever that means.) So I decided that I'd share a few things that can help you get out of a rut. Especially if you're in one-like me. 1. Rest. Sleep when your body needs it. Listen to your body and take care of it. Don't be so hard on yourself. It takes some time to pull yourself up again. 2. Get outside. Go for a walk. Breathe in fresh air & get some vitamin D. Our bodies were designed to get some sunshine in order to be revitalized and re-energized. It'll definitely boost your motivation to get back into your routine. 3. Keep Hydrated. It's hard to tell that your body lacks water but make it a goal to consume more water than usual. After some R&R, water is needed to keep you strong. Water is always good for you and I don't think we can ever have too much of it because honestly, we don't drink enough water. 4. Pamper yourself. Put together a cute outfit & doll yourself up! Don't wait until there's a reason for you to pull yourself together. Try a new look, find inspiration to be yourself again without the pressure. 5. Get Moving! Stay active or try a new class! Get your heart pumping and release endorphin's. Endorphin's are a happy hormone that we can create when we get in some cardio or movement in our bodies. 6. Positive Feedback. Surround yourself with people who care about you and are willing to pick you up when you feel down but won't pressure you to get on with it. Talk it out. Find encouragement in the sweet friends around you to remind you of your purpose. 7. Read. Write. Draw. Do something creative. Use your creativity to draw inspiration again. Sometimes, all it really takes is a bit of imagination and it'll all come flooding back! 8. Listen to music. Test out a new playlist or repeat your favorite artist! I find that music inspires and motivates me to do a lot of things. Use it as a motivator to get some clean-up done around the house. 10. Remind yourself of your worth & value. Genesis 1:26-27 says we are made in His image, the very image of God. Psalm 139:13-16 says we are fearfully and wonderfully made, and all the days of our lives were written in God’s book before we were ever born, confirming God’s prior knowledge and plan for our lives. Ephesians 1:4 says God chose His children before the foundations of the earth were ever formed. And so much more. Remind yourself of what the Lord says about you. Hold on to His promises and truths. See yourself the way He see's you. What do you do to get unstuck or out of a rut? Even though God has given me peace amidst my sufferings, I'm still human. Everyday as I make the choice to dwell on His promises instead of my situation, I find that He allows me more & more strength. With every passing day, it's become a bit easier to talk about infertility. "You've been married for so long now, why don't you guys have some kids?" "Don't wait too long because you're only getting older." "Why would you prefer getting a dog over having a child?" "Do you guys not want kids?" "Oh, don't worry just take advantage of being child-less right now." In those moments, I can honestly tell you, I wanted to cry my eyes out. Some day's I was able to just brush those questions aside. I mean, I know they had good intentions. They just didn't know the choice of words that they used could pierce my heart so deeply. I know it wasn't their fault. I don't blame them. But it's still a battle in itself just processing everything and letting go of those dreadful words.
" Be kind, for everyone you meet is fighting a battle you know nothing about." Boy, has God completely given me a humble perspective of viewing others in this way. It wasn't true until I experienced it for myself. So many times, people will just look right through you and assume the worst of you, not even knowing the storms you're facing. Can I just say, God had a whole lot of healing to do in me. I'll be honest, from day one, I wanted to keep it a secret. I didn't want anyone to know. I was ashamed of my "condition." Especially in my culture & society, it just isn't "normal." I mean who says having kids at the age of 15 right after marriage is normal? Some people don't even think about having kids until they've had their careers set in place and financial stability and then infertility sneaks up & they'll be left in desperation and regret. I had other options. I just didn't want to face those options. I knew that of anything, I needed healing. Miraculous healing. Healing that only Jesus Himself could provide. As time slowly but surely went on, telling my story didn't hurt so much as it did the times before. I made a decision just after a few months of complete obsession over "trying to conceive," that I would not let fertility be my idol. Because its just that easy to get carried away by trying to take things into our own hands right? It was still hard, but daily, I would trade my pain & sorrow for His joy & peace. Daily, I had to surrender the sufferings that I felt wallowing in my soul. God was and continues to be faithful every step of the way. As each day passes, God slowly molds courage within me to speak boldly of my testimony to others. And every opportunity that He continues to give me, He's asking me to take another step into trusting His plan for me. I consider that miraculous healing. It was not easy at first. If anything, I think its absolutely okay to feel pain. In fact, I believe there is a time to mourn. But let us not dwell in that season for too long. God has other plans for our lives. I cannot vouch that the pain is diminished after His healing. But I can tell you, that the peace & joy that He rewards you will outweigh the pain inside. "When you can tell your story and it doesn't make you cry, you'll know you have healed." I may not be healed physically and my womb may still be suffering, but my soul has never felt more at peace. For me, healing looks a lot like finding joy in the sorrow and having the ability to genuinely smile even when my heart is aching. It looks like a grasp of desperation for hope. It is confidently taking a step forward when there is not even a speck of light on the horizon. Let Hope guide you into the unknown. Remember that loneliness is only a lie from the enemy. God promises that He is carrying you every step of the way. What battles are you facing in this moment? Is it hard to talk about it to others? Do you feel like you're all alone? The enemy came to steal, to kill, and to destroy. And even though the enemy meant all of this for evil, God turns it into a beautiful story of redemption. He has used this season of infertility to teach me a few things that reveals His Beauty in the barrenness. I found out that I was not the only one that was facing this storm. He's sewn the hearts of women of similar journeys with my heart as well. It's as if He gave me empathetic lenses to see the pain & hurting women who surround me in my community. And He gives me compassion for them. He inspires me to step outside of my comfort zone to bring light of these hard topics with the struggling women of this generation. I no longer isolate myself from everyone, but choose to be used by God to be an extension of His love & encouragement towards other women whom feel cast out into the shadows of the very fertile women. 2. Let HOPE Anchor You. I started off my journey getting sucked into all the things that I could "try" to conceive. But all I experienced was a constant disappointment. I quickly learned that I was just setting myself up for failure when I let my own doing anchor me rather than my Almighty Father. I do not know yet how my future will look like, but I choose to set my eyes on the only source of hope that I know of and that is Jesus Christ. And I can honestly say that when His hope anchors me, I'm given a peace that surpasses all understanding & it also reminds me that He will calm the storm I'm in. God doesn't promise that life will be easy, but that He will walk every second of it with us. 3. Infertility is a Gift. I've learned to look to my faith sisters from the Bible that also shared the same sufferings as I did for encouragement. And what God shows me every time, is His faithfulness. He not only blessed each woman in the Bible with a miracle baby, but He did it in His perfect timing & according to His will. All so that each of these women would be a blessing. He used their children to do great things. None of their children were average. God put His blessing upon each child that was born through infertility. And He made sure each child was linked to the lineage of our Lord, Jesus Christ. This shows that His thoughts are greater than our thoughts. His plans are greater than our plans. He makes everything beautiful in His time. 4. Jesus is my Great Physician. I could look to doctors & specialists, but even they can fail me as well. I've had doctors that have flat out told me they don't know why I can't have kids. This has been nothing but a disappointment. But glory to God for I've received healing in a way that not many can understand. His grace stitches up the cracks in my heart and His love revives me of my loneliness. There is no one else that can heal me as my Lord can. In the eyes of men, it may seem like a hopeless & absurd thing to do. But He has not failed me yet. Therefore, I will continue to trust in my Healer. 5. PCOS Does Not Define Me. If you know me, you know that I don't let this disease cripple me. It is only a small portion of the story that God is playing out for my life but it has no authority over me. My worth & purpose comes from Jesus. I live in the promises that God says that are true about me. No longer do I beat myself up emotionally about my imperfections, but I let Christ & the blood He shed for me, cleanse me as white as snow. Daily, I am learning to surrender my doubts, questions, & fears to Him. And He never forgets to remind me that I am a child of God. I am a daughter of the Most High King. I am defined in who He says I am and not the labels that this world places on me. How do you feel about infertility? Has God given you insight on any storm in your life? Please share. I'd love to hear how He encourages you as well. "A day will come when the story inside you will want to breathe on its own. These words ring true to my life. For so long, I didn't think my story mattered. I didn't believe there was any depth or let alone beauty in it. All I saw was darkness, hopelessness, and question marks EVERYWHERE. Nothing made sense & I just couldn't understand how God would ever bring purpose into my life. I trusted Him but probably never truly believed that something good could ever come out of my life story. But you know what? In the past 6 years, I battled with the idea of sharing my story. I didn't feel confident nor did I feel safe sharing the utmost broken parts of my fragile heart. I'm not even sure when exactly it was that I had chosen to embrace my story. I think it came out of a cry for help. No, I know it was out of my loneliness and desire for community. A space that I could be transparent, fully-raw with what was going on in my soul. Writing has always been a part of my life up until I got married & started focusing all my energy on surviving. But in a season where I felt like I had no one, I began to journal and write again. Whether it was questions, fears, anger, or prayers. I was finally externalizing what I had been suppressing inside all to myself. Off and on, I'd write but fear would always quickly come rushing in and remind me that my words would never make a difference. They would never change my circumstance. Fear reminded me constantly that my story wasn't worth writing. In the midst of warring off the mental attacks from fear, I believe God allowed me to acquire perseverance and confidence. My story began to break through and speak for itself. It somehow became every breath that I took. And over time, fear's voice got smaller. I believe that even before time, God had already instilled within each of us, a beautifully-unmatched-extraordinary & unimaginable redemption story. All it needs is time, perseverance, love, and ownership. Your story matters. Take ownership of what God is doing in and through you. You may not know it, but there is a revolution that He is wanting to use your story for. Trust it. Embrace your story, share it courageously, and know that you're not alone. There is bound to be an army of wounded warriors that need your story in order to revive them. In your brokenness, God multiplies the healing miracle. If ever you need someone to listen, I'm here. And if you ever feel called to share your beautiful story, I'm more than willing to help. Click on Share Your Story when you're ready. 2 weeks ago we were asked to reserve Saturday the 27th of February for a special day. We weren't sure what was in store for us but were excited nonetheless! We love adventures! We kept trying to put all the puzzle pieces together to find out what the plans were but we were refrained from doing so. Therefore, we patiently waited for the day to arrive & then we got ready & set off for our destination! We were instructed to find our way to a beautiful place nearby called Gales Creek. We drove off with nothing but warm clothes and a few camping chairs, anxious to see what we would be arriving to. Scroll down to see pictures from our adventure! I even documented bits and pieces from this beautiful day. Huge thanks to a couple that we look up to & are so blessed to have in our lives. They truly model a Godly marriage & encourage us to constantly keep Christ at the center of ours as well. They challenge us & build us up in more ways than one. We're forever grateful for your love, sacrifice, hard work, & dedication to being intentional Christ followers. And being such great role models to us. We know it was not easy to pull off something like this, but we are thankful for this day that you both worked so hard to coordinate & plan just for the two of us. Thanks for investing in us! God Bless you both for all that you do for us & all the couples that God has entrusted in your care. We know that God is doing something great through you both! We're just so blessed we get to be a part of it as well! We love you guys! Today marks our wedding anniversary of 11 years! I don't know why, but I feel as if every year passes on by faster & faster. No one says how marriage is going to be after year 10. Personally, I have to say that year 10 was the year of transformation. And now we're moving into a new year together, I'm so excited to see what else the Lord will invite us to. I don't want you to read my blog & assume I have a perfect husband or marriage. Because I don't. We've had numerous arguments & fights. We've walked away from each other countless times and we've let out some of the cruelest words from our lips. But God redeemed our marriage when Roger & I stopped trying to control our marriage & one another. At the end of 2015, Roger & I felt the Lord lead us into a 40 day fast. I cannot say, how faithful God is when you sacrifice yourself daily to find His face. In those 40 days we relied on fruits & vegetables and most importantly, we relied on the Lord to sustain us. Every day, each of us sought Him out and every day we would share what God had revealed to us. Not only was this a way for us to grow closer to the Lord, but little did we know, we started to grow closer together as well. It's been over a month since we've ended our fast. But we still have our daily conversations of what the Lord is doing in our lives daily. Whether big or small, He speaks to us and its important to digest the Lord's work with the very person you do life with. It not only builds you up, but it builds up your spouse as well. A few years ago, I learned something that changed my marriage for the good. After year 5, I certainly thought 'Is this really it? Does marriage not ever improve?' Later that year, we were involved in assisting with our church's first marriage conference & we invited a gifted couple to come and share their insights on marriage. The wife stood before a room of women as the men were in their own workshop, and taught us about this beautiful diagram. In that year, I gave up trying to pull Roger alongside with me. I learned that I could not build up his faith with my bare hands. The Lord had taught me to entrust my marriage to Him & just focus on my personal relationship with Jesus. 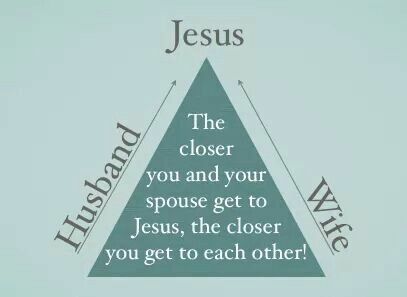 And it took up to a few months to a year to really see how this diagram became truly evident in our marriage. As I was seeking Jesus and moving towards Him, the Lord was tugging on Roger's heart as well. And this happened without me trying to do anything but respectively loving & submitting to him as I am called to. The more I learned to love Jesus, the more I learned to love Roger. And the more the Lord tugged on his heart, the more he learned to love me through his relationship with Jesus as well. There's no doubt that this is the heart of God for marriage. To truly have a Christ centered marriage is to walk hand-in-hand with each other towards The Cross. In Roger, God has given me a husband, lover, and best friend. Everything I could ever hope for in my companion. As we journey on into a new year of marriage, I know that there will only be more situations that test's our marriage. But through those trials, I believe that God will only continue to use them to strengthen us. To pull us individually closer to Him yet even closer to each other as well. you see, we're learning that marriage isn't just another 'thing' that God created. But that marriage is actually a lot more personal to Him. Why? Because through marriage, we get to experience eternity. He's refining us as individuals within our marriage to learn to love one another unconditionally. A love that only He knows how to give. In marriage, we get to receive the opportunity to reflect the image of God. We also get to tap into that same love that Jesus has for us, the Church. "22 Wives, submit yourselves to your own husbands as you do to the Lord.23 For the husband is the head of the wife as Christ is the head of the church, his body, of which he is the Savior. 24 Now as the church submits to Christ, so also wives should submit to their husbands in everything. 25 Husbands, love your wives, just as Christ loved the church and gave himself up for her 26 to make her holy, cleansing[a] her by the washing with water through the word, 27 and to present her to himself as a radiant church, without stain or wrinkle or any other blemish, but holy and blameless. 28 In this same way, husbands ought to love their wives as their own bodies. He who loves his wife loves himself. 29 After all, no one ever hated their own body, but they feed and care for their body, just as Christ does the church— 30 for we are members of his body." spill over into every other area in your life. Blessings to you as you continue to remain faithful and obedient in your marriage. How many years have you been married for? What year are you celebrating this year? What are some things that you've learned in your own marriage?
. A gathering for women of all ages to unite & learn more about Jesus. Not just learn but to be equipped & unleashed into our very own circles of community. To prompt us to live a life around these questions: "If God is real then what? "& "What if we lived like Jesus?" God is love and love comes from God. The testimonies & hope-filled stories shared this weekend were evidence of how much more real His love really is. " Love the Lord your God with all your heart and with all your soul and with all your mind and with all your strength." There is no commandment greater than these.” (Mark 12:30-31) These are most important yet simplest commandments that the Lord has given us. Yet, we struggle with the most. To love. Love isn't just a feeling a boy & a girl have together. Love is forgiveness,humility, compassion, caring for another persons soul, and so much more. Christ came to walk the Earth and He loved deeply. He came to be the perfect example of love. He loved the unlovely, ashamed, cast-off, & abandoned. Love isn't just for those who are good looking, fit, wealthy, or friendly. Love is for all God's people. Every human being that has a heart beat, God loves. And as children of God, He has called us to love our neighbors. This mean's our family, friends, neighbors, coworkers, & many more. Whomever is in your life circle, God is calling you to love on them. Even to love the unlovable. Love the ones who can't love you back. This is not impossible. For God so loved the world that He sent His one & only Son. To die for our sins. God not only loves you individually, but He loves the entire world. Therefore, if we are made in the image of God, He created us to love well too. We love because He first loved us. (1 John 4:19) Even criminals know how to love. Love exists in all of us but what good is it if we just keep it to ourselves? Lets share His love to everyone around us. Lets spread it to the ends of the Earth like confetti. For the best reason to celebrate is because of His great love. Love doesn't just flow from the words that we speak towards one another. Although that is the love language for many. We often hear,"You can talk the talk, but can you walk the walk?" We can speak of our love for other's, but what we do in our lives will reflect how true we are to our words. Love is evident in the way we move & touch other peoples lives. When we look at the life of Christ, "He didn't just come to talk, teach, or preach. He came to love through His touch, proximity, presence, & dignity. "- Jen Hatmaker. Lets love intentionally. Lets love our neighbors well. Lets be the hands and feet of Jesus. Loving, even if they can't love us back. Lets love the unlovable. I'm sure we all feel unlovable at times. But God will never stop loving us for a second! He is madly, deeply, head-over-heels, jealously, crazy in love with me & YOU! 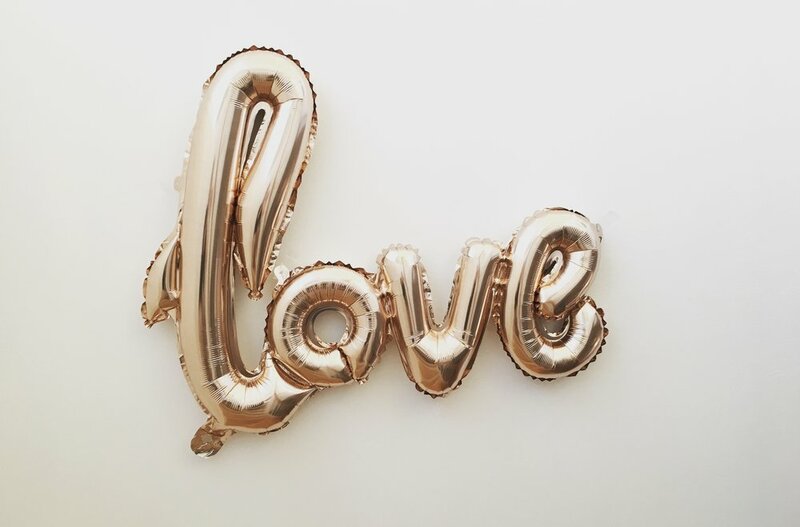 What are some things we can do to show people that we love them? You have any ideas? I'd love to hear them! How do you love your family & friends well? How can you reach your community & share God's love with them? I absolutely love her heart. Hello, Grace also partners with Loved Bought International. It is an organization that is dedicated to love God, love others, & change the world! They are currently raising money to build an orphanage in Bogata, Columbia. Therefore, with every purchase, 10% will go towards this effort! What an amazing opportunity & cause to partner up with. I chose the "Let's Be Brave Together" T-shirt because I absolutely felt like it suits this new chapter I'm in! Starting this blog a month ago, took so much courage. I literally prayed throughout all of last year for the women that God had placed on my heart & for an open door. January rolled around, and this was it. Telling my story. If you've ever faced something so hard & impossible, then you know how hard it is to be transparent with your own group of people, let alone, your family. What I was unaware of, was the amount of courage God had given me along the way to prepare me for where He is leading me next. I also believe that He wants to do the same with you! Are you wondering today what your purpose in life is? Are there some passions that are impressed on your heart that needs some attention right now? Are the lies of the enemy causing you to doubt the great things God can do through you with the gifts He's given you? Move into the fullness of God. He will provide for you everything you need. He will lead you through your life with clear purpose & vision. He will use you to reach out to the ends of the Earth. But, He needs your complete trust in Him. Google defines brave as "ready to face and endure danger or pain; showing courage." In Faith Tags Collaboration, Fashion Blogging, Fashion, Hello Grace, Support a cause. This weekend was so eventful. Packed with so many great things. I went out with my sister for a Zumba charity fundraiser for a local children's organization. Got to see my nephews & hang out with my sisters. I had a long over due lunch date with a good friend. Dropped off starter kits at church for the arrival of Refugees that will be arriving in our area. I had great conversations filled with laughter & tears over a delightful dinner with beautiful women. I pushed myself out of my comfort zone to be more intentional at church- catching up with fellow brothers & sisters in Christ. There are no words to describe how full my heart is in this current moment. If only I could just make time stand still. I feel as if I'm at the best time in my life right now. Everything feels perfect. It's impossible for perfection though. I know, I know. My weekend was packed to the brim but I don't regret any of it. As I'm typing this, I'm literally struggling to speak. I've somehow lost my voice from this awesome praise worthy weekend. Besides the soreness of my throat, I feel so optimistic & joy-full. I do not regret a single thing that I scheduled myself for this weekend. Why? Because every bit of it were the best decisions I could've ever made. To be in commune with people. To fellowship & hear what God is doing in the lives of others. In every moment of my weekend, I was just constantly reminded of God's unfailing love. Two big things also occurred this weekend though. Saturday morning I woke up to find out a relative had passed from her battle with Breast Cancer. Then, Sunday after church, Roger & I payed visit to our dear friends who are now new parents! Their baby girl had decided it was her time to make her big appearance into the world. From beginning to the end of this weekend, I've just seen God's gracious hands over all the overwhelming events that has happened. God calls us to mourn with those who mourn. But to also celebrate with those who celebrate. What a blessing it is to be included in the beautiful picture God is painting with our very own lives. In a moment of grief & sorrow, God also gives us reasons to be joyful & celebrate! There is hope in Him alone. To love as He first loved us is hard. But we can begin following in His compassionate footsteps by asking God to give us His heart. To break our hearts for what breaks His. To love through His eyes. When people die, there is so much pain that no one but the Father can comfort. When we face what seems like the darkest season's of our lives, Jesus lights the way for us onto the Hope we can have in Him. When new doors open for us to walk through, fear & anxiety rushes in but God tugs at our hearts & says," Follow Me, & I will lead the way." In the midst of all that we face, I pray it may be a reminder to you that from beginning to end, God has everything in the palm of His hands. He is still in full control no matter what you face. He will raise you up & honor you. He will protect you from harm. He will heal the brokenhearted and He will be with you, holding you with a gentle & loving firm hand. Such beautiful promises. What ever season you are in right now, I pray that God will surround you with people who will love, embrace, listen, encourage, cry, laugh, celebrate, mourn, & pray with you. When you completely submit to Him, He will provide for you, everything you need. Including the very people or community you need to do life with you. How was your weekend? What season do you find yourself in right now? Roger & I have been married for 10 years now and one thing we've definitely learned is that we need friendship. 2015 was a hard year, I mean, when is life nor marriage not hard? You'll always face new challenges. I wish someone would've told us on our wedding day how important it is to stay friends in your marriage. I honestly don't know when we lost that important factor of our marriage, but I guess once marriage happened, it was all about figuring out how to make it through life.We stopped asking questions. Stopped getting to know each other & we began to just conform to this normality of what we thought marriage was supposed to be. A Relational Retirement. Last year, Roger & I literally felt like we came to a point where our marriage was going to end. Not because someone cheated or because we didn't get along. Most people I know would probably conclude & compromise at the fact that they "fell out of love" with each other. For us, it was because we didn't feel connected. Here we were, married at this point for 10 years & yet felt more distant than ever. Don't misunderstand, we love each other passionately. But at some point we stopped having conversations & fell into this autopilot setting of just going through the motions of life with no intentionality. It really affected us. With lots of prayers & encouragement from a close couple who knew of our struggles, we started pursing our marriage through God's eyes. We started praying for one another & for our marriage. It took time, patience, trust, & courage. Each day we stepped a little closer towards each other in our friendship. Slowly but surely, we started having more in depth conversations. It was like getting to know him all over again. Don't assume that when you get married, your spouse will remain the same person they were from the day you said "I do." As we grow in the years of marriage, we also mature over time. God is constantly working through us, changing & challenging us to become the best versions of ourselves to glorify Him. And so, therefore, we have to learn to embrace each others changes as well. I started to learn so many new things about him that I had never known before. And like any relationship, trust had to be nurtured into our marriage. Even though you're married to each other, the enemy knows how to pull you away from one another, influencing you to be secretive & to keep things to yourself. I believe that when we unite in a holy matrimony, (a marriage that is set apart from others), we ought to both know each other inside out. To see each other in a way that no other person could. To be so transparent about your life, emotions, struggles, & celebrations. The only other being that should know you so deeply would be God himself. There is something beautiful about becoming "One." In marriage, we get to experience the intertwining of 2 souls & 1 spirit. God himself blesses couples with His Holy Spirit. Don't ever assume that marriage is only a physical life accomplishment. It's so much more than that. Roger & I have learned so much about what God can do through marriage. We asked God to teach us to communicate well, to be open & transparent towards each other & to know how to extend grace & to be able to love one another. He definitely answered us. Little by little, He began to reveal to us, the victory we have in our marriage. God was reigniting our love & friendship towards one another in such a new & fresh way we had never experienced before. "The best relationship is when you can act like lovers & bestfriends at the same time." Don't get me wrong. Girlfriends are a must-have in every woman's life. But to have a best friend in your spouse, it has to be the most amazing & special thing God has every created! So believe me when I say that I know God has bigger plans for your marriage. He knows you desire a relationship with your spouse. If you do, then run to Him. Plead for your marriage. Cry out for your spouse. Go to God on behalf of your marriage & pour out your heart on Him. He WILL answer you. In His will & perfect timing, He will honor you for your faithfulness,not just to your husband, but your faithfulness to Him. Have you ever thought about praying for your marriage? 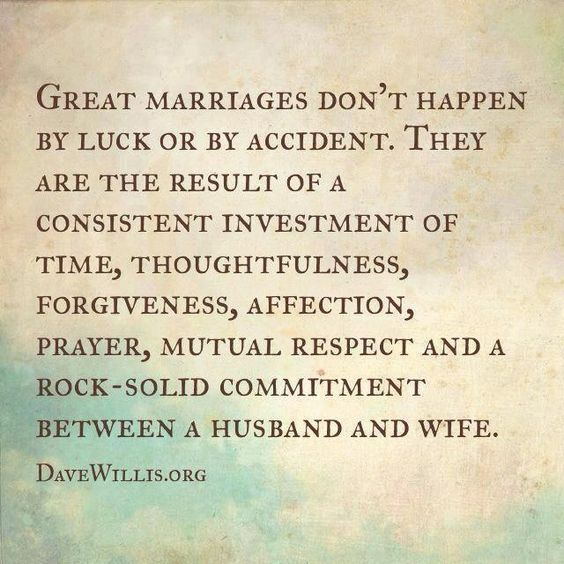 Know that in order for our marriages to thrive, we must make sacrifices & invest in them as best possible. How can I pray for you and your friendship with your spouse? Let me know in the comments. I'd love to pray over you. I was cleaning up the kitchen yesterday & for some odd reason I felt inspired to start creating. I instantly remembered that a dear friend of mine had sent me inspiration pictures for a cute vintage button necklace. This was 2 years ago that she had reached out to me. It was during a time where I was very enthusiastic about the thought of opening up my very own Etsy shop selling handmade items. In between the past 2 years, I just didn't quite feel like it was the right timing yet. Nor did I feel like it was something that God was calling me towards. I still enjoy creating things & getting my hands into DIY projects. I just didn't quite feel like selling lil handmade accessories was all that God had planned out for me. This doesn't mean that I don't absolutely love the process behind making & creating beautiful & productive things. Below is the inspiration picture that my friend sent me & you'll see that what I made is not a replica of the original. But that's why I love DIY's. Because you still have the flexibility & space to add your own personality & touch to it. Whats even better is that its rare, unique, & you'll never find anything else like it! I honestly purchased everything I needed in between that time, but just never got around to making it. Do you ever feel like you have to constantly get new materials and supplies EVERY time you DIY? For some odd reason, I'm guilty of that. So since 2 years have gone & passed, I figured why not? I may as well play around with it & see what I come out with. If I don't all these supplies will just continue on collecting dust in my craft bin. to see me style it! What do you think? Would you wear this necklace? Is there a project that you left off at, that could use some tending to? Pull out those creative juices of yours & create something today!